Posted in: Film. Tagged: carlin, women. Posted in: Film. Tagged: bbc, everywhere, mashreport, women. Posted in: Film. Tagged: cats, coming, crash, men, women. These stories often have sad endings, but not the sort that the next generation of women are likely to learn from. The careers and parties are fun, and women gain experience year by year. They tell of women leading lives with men as bit parts — wandering on and off stage (wisely, as such women will file for divorce on the slightest whim). But they learn too late that time was not their friend. As in Sciortino’s tale of life in the 30’s. Red emphasis added, highlighting one of the great themes in feminist literature (it’s not the woman’s fault). “But it’s not just that being single suddenly feels alienating in your 30s. It’s also that dating itself becomes more difficult. For one, the stakes are higher. You don’t want to waste your time on someone who doesn’t feel like they could be ‘the one.’ But simultaneously, thinking “would he make a good dad?” after knowing someone for the duration of a martini makes you feel like an insane, rom-com cliché of a woman. Not ideal. “Essentially, we are far more discriminating in our 30s than we were in our 20s, which is both a blessing and a curse. We know more about what we want and what we won’t tolerate — but to a point where almost no one is good enough. I find myself having thoughts like, ‘I could never date him, he wears V-necks.’ Or, ‘He was nice, but he sleeps in a mezzanine bed.’ And this perpetual dissatisfaction is especially true in New York, where inflated egos are paired with incredibly high standards and the illusion of infinite choice. “That cliché of thinking ‘someone better might be just around the corner’ is real. But I keep turning corners, and I keep meeting finance guys with high cholesterol who just discovered Williamsburg. Sigh. Sometimes I think I should’ve picked someone when I was 25 and stupid, and then just made it work. Much of this genre of women’s literature consists of tales about women attempting to “have it all” (often with disastrous results) — and others saying that women cannot have it all (here, here, and here). Posted in: Film. Tagged: life, men, People, women. Et aux bons gloire et haulte renommée. And to the good, glory and high renown. Today I thought I should talk about something different, stalkers and secret admirers. Why do people become stalkers or secret admirers, even more importantly why do some people have stalkers ? actually stalk me, for me it was a very weird and somewhat scary experience. The girl was in love with me, but I did not feel the same for her at all ( Seeing as I am not attracted to girls at all) but it was a very traumatizing and stressful situation. 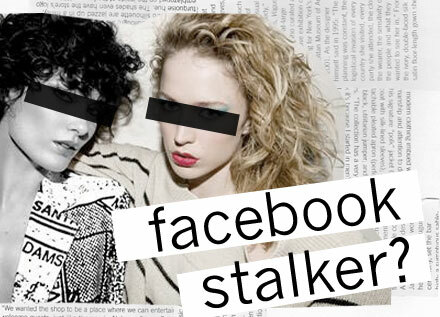 People characterized as stalkers may have a mistaken belief that another person loves them, or that they need rescuing. Despite a growing body of research in the past five years, stalking is still very misunderstood by the public, the courts and law enforcement. For practical purposes there are three types of stalking. Relationship stalking occurs when a couple breaks up. But that is not stalking in a legal sense. It just looks like and feels like stalking. Obsessional stalking develops because of the way the couple interacted and the way they broke up. Obsessional stalking is a psychological problem that has many causes but in general it is the result of an “on again” and “off again” relationship as was well as a “desire and fear of a relationship” in one person and “fear of separation and loss” in the other. The childhood of at least one of these people is usually emotionally barren or emotionally abusive. Delusional stalking occurs when a mental disorder causes the person to become obsessed or fixated on some unsuspecting person because of what amounts to a medical condition. Moving on, secret admirers aren’t really different from stalkers. I think the only difference is that we somehow know that the secret admirers won’t actually ever hurt us, or hurt other people because of their professed love for us.